Last week Microsoft announced the Release to Manufacturing (RTM) status of it’s Office products including Exchange 2013. That’s exciting news! Now can we upgrade already? Well, no not yet. Firstly, the RTM bits will be available mid-november for MSDN/TechNet but also for Volume licensing customers. General availability is announced for first quarter of 2013. If you have an Exchange 2010 organization on-premises, you’ll have to wait for Exchange 2010 Service Pack 3 as coexistence is not supported without it. Unfortunately the exact date when SP3 is going to be released is not know, only that it will be within the first half of 2013. Without it: no joy. If you have an Exchange 2007 organization: it’s safe to assume that there is an update necessary to enable coexistence scenario. That will probably be released in an Rollup Update (which really be the last one?). However, there hasn’t anything announced. We’ll have to wait for more information. If you have Exchange 2003: You are out of luck! That upgrade/transition scenario is not supported with Exchange 2013 (note: link is for preview, but it’s very safe to assume it will be the case for RTM as well). You’ll have to migrate to Exchange 2007 or 2010 beforehand or use third party tools. If you have only Schema prepped your Active Directory and have *no* Exchange servers, it’s unclear what prerequisites are necessary. It could be a deployment blocker if the Exchange 2013 installation blocks when it sees an non Exchange 2010 SP3 Schema. However, it could also be that it will just update the Schema as there aren’t any Exchange servers present. We will have to wait for official statements or test it with the RTM installer. *Update 20121026* Now I’ve tested this myself with the RTM build and with an Exchange 2010 SP1 Schema prepped AD without Exchange 2010 servers. 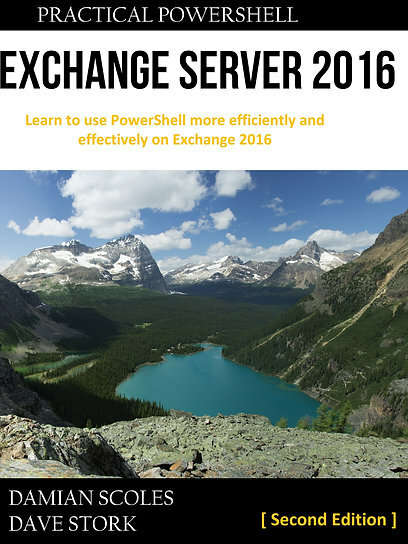 I could install Exchange 2013 without the need for an Exchange 2010 Service Pack 3 Schema Prep. P.S. : Some organizations have Schema prepped AD so that they could use the CustomAttributes attribute, rather than extend the AD Schema themselves. For cross-forest migration, for those who have a Exchange resource forest or want to migrate to a greenfield Active Directory, nothing has been announced. It is quite possible that the same Service Pack or Rollup updates for “normal” transitions also are necessary. Furthermore, they did not mention anything about Office 365 P (Professional and Small Business) and A (Academic, aka O365 for Education) subscriptions. They are separate implementations of Office 365 (that’s why it’s not possible to upgrade from P to E for instance). If you have other groupware solutions (non-Exchange): You’ll probably have to use PSTs, IMAP or third party tools. Basically the same as ever, although for the latter ones it could take some time before the tools will be compatible with Exchange 2013. For hosters with Exchange in hosting mode, there isn’t any information made available for this situation. I think however, it’s safe to say that Exchange 2010 Service Pack 3 will be necessary. Hosters with Exchange 2007 and HMC (Hosted Messaging and Colaboration) possibly have to transition to 2010 first, but that’s me speculating. So, if more information becomes available I’ll probably update this post. Edit: Exchange MVP and TheUCArchitect fellow Paul Cunningham posted a similar blog post today. Check it out! Edit2: Clarified some things (thanks Hakim Taoussi!) and added hosting scenario.